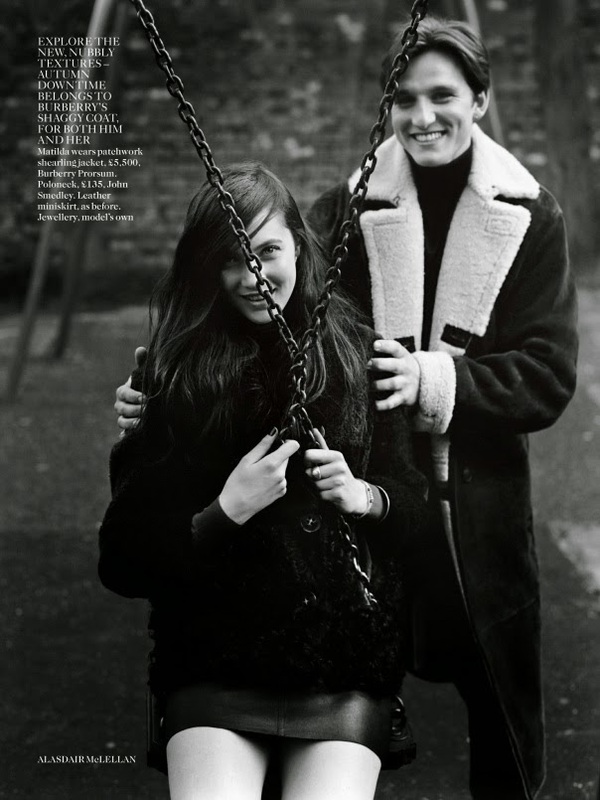 Modelling's coolest kids run amuck for British Vogue's September 2014 issue in an editorial lensed by Alasdair McLellan. 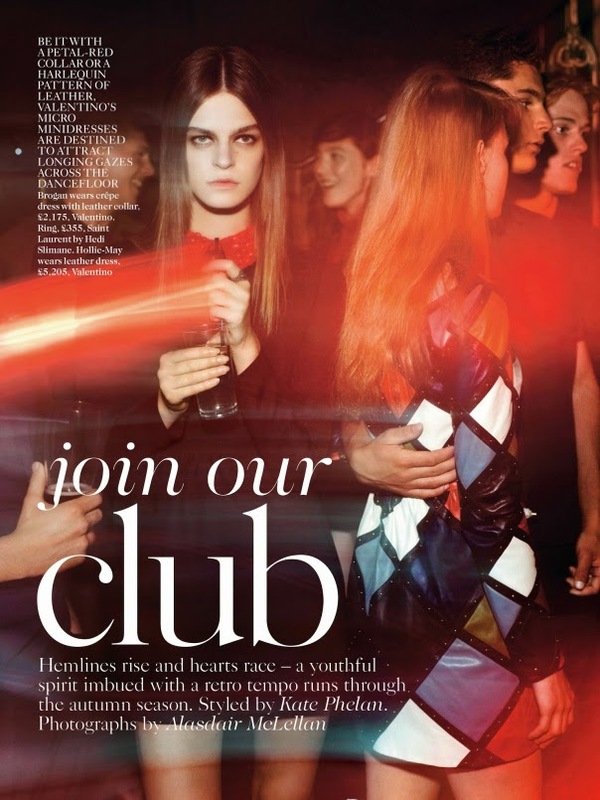 New kids on the block Brogan Loftus, Hollie May Saker, Eliza Cummings, Malaika Firth, Sam Rollinson, Misha Hart, Lily McMenamy, and Matilda Lowther hangout after-hours in the aptly tilted "Join Our Club". McLellan trains his lens on the motley crew of models as they burn the candle at both ends in ensembles styled by Kate Phelan from the Fall/Winter 2014 collections of Valentino, Saint Laurent, Fendi, Burberry Prosum, Stella McCartney, and Christopher Kane. The editorial introduces a whole new generation of rising stars to British Vogue's audience with the one-of-a-kind beauty of Brogan Loftus, the flame-haired Hollie May Saker, the girl meets boy sensuality of Eliza Cummings, the picture perfect Malaika Firth, and the girl next door allure of Matilda Lowther commanding the reader's attention. With the modelling trends shifting towards a clear emphasis on individuality and personality, Sam Rollinson, Lily MacMenamy, Loftus, et al. fit perfectly together like the missing pieces to a puzzle. McLellan captures the essence of free-spirited youth as the eclectic cast of beauties hit the clubs, grab a pint, and catch some rays in the parklands.